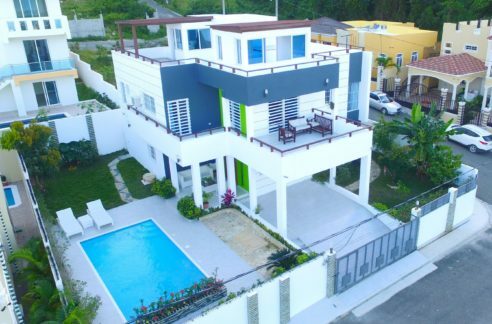 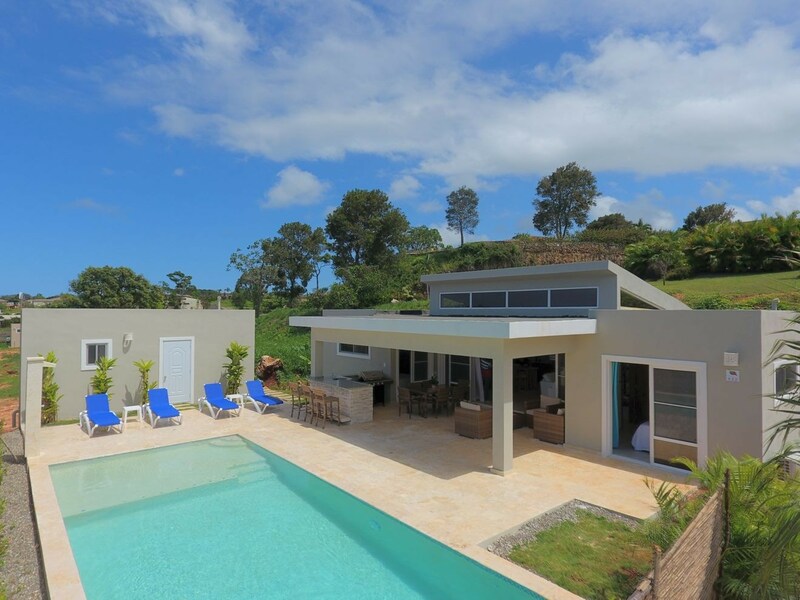 Contemporary Design Villa Sosua Dominican Republic, built with 2 and 3 bedrooms. 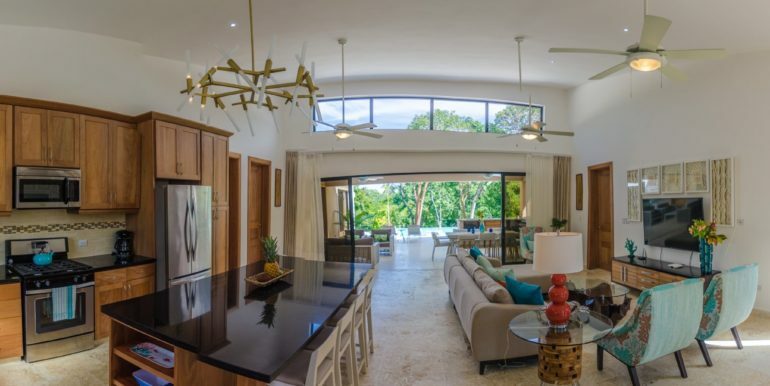 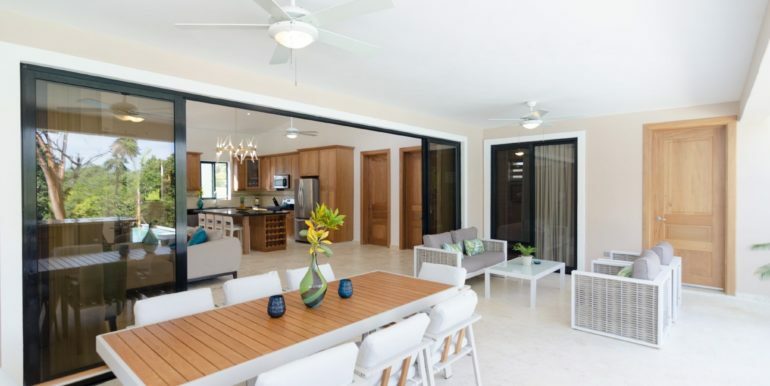 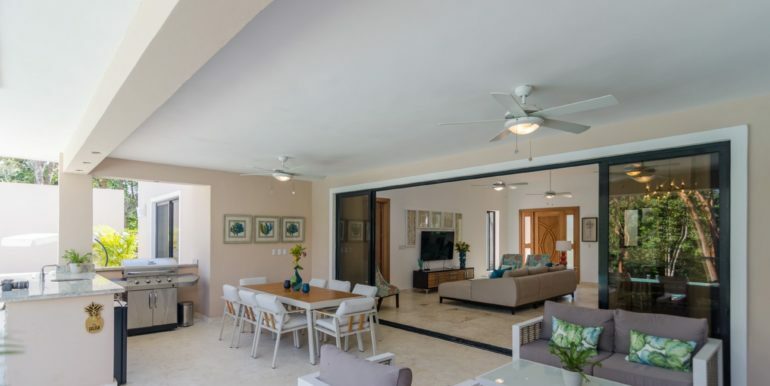 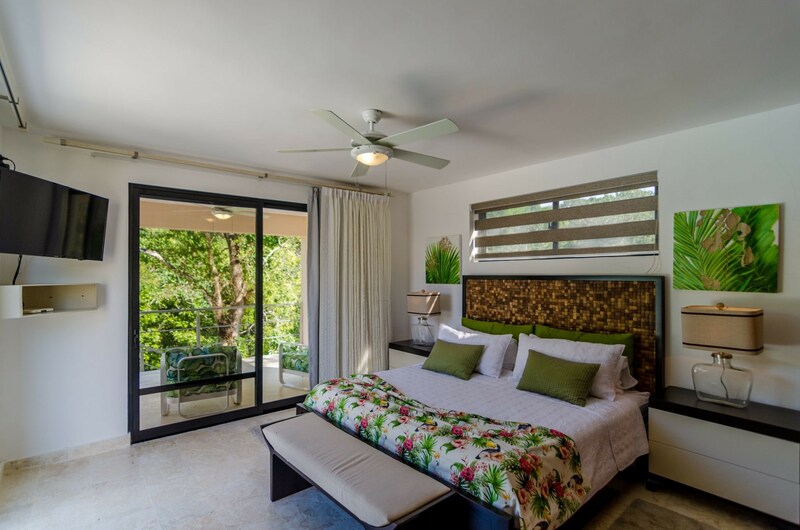 The layout of the villa is very efficient and elegant, with the bedrooms flanking the main living areas for added privacy and ease of access. 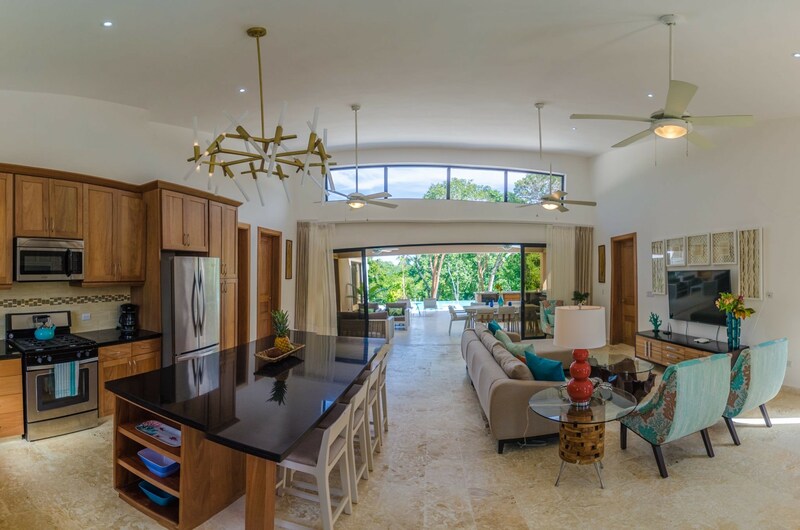 The living room feels spacious, with open design kitchen with island, granite top and fine wood appliances. 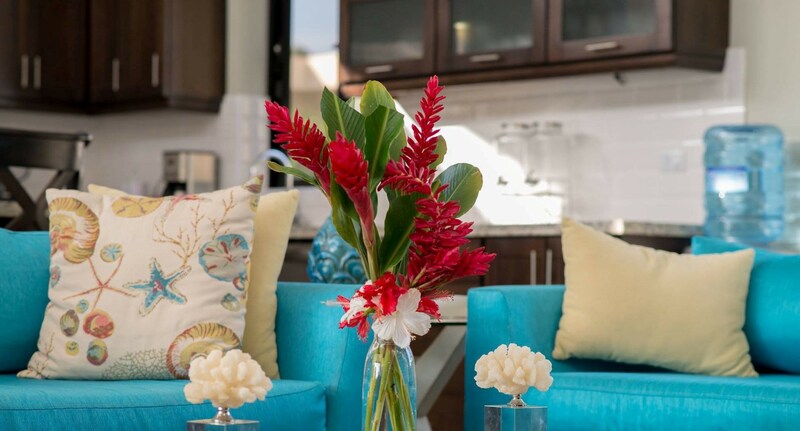 On pre construction, buyer gets to choose finish materials from our selection, customizing to their own taste. 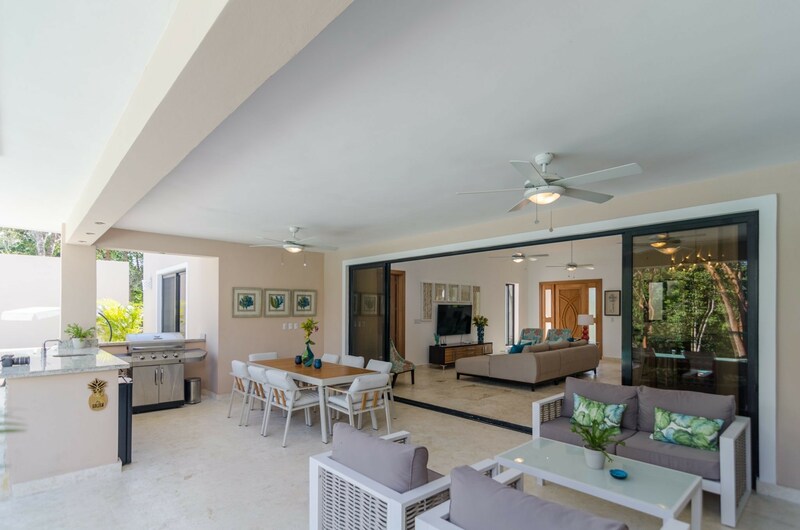 A raised ceiling on the front end allows for clerestory windows that keep daylight coming in, also for the temperature to stay cooler. 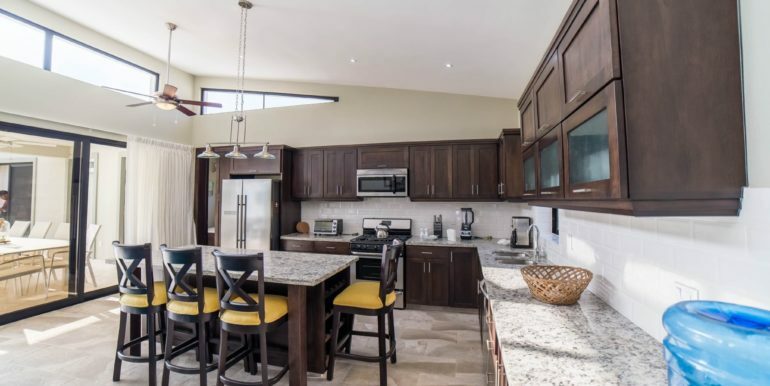 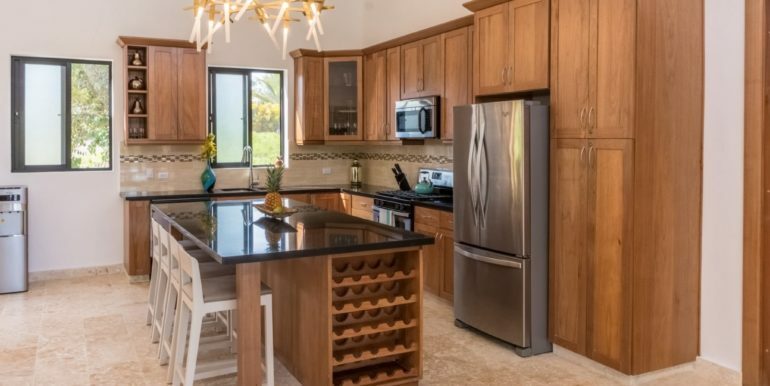 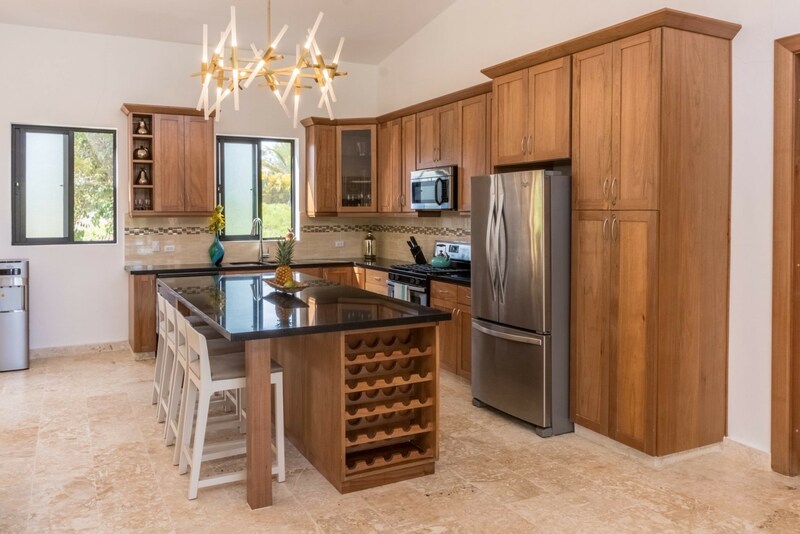 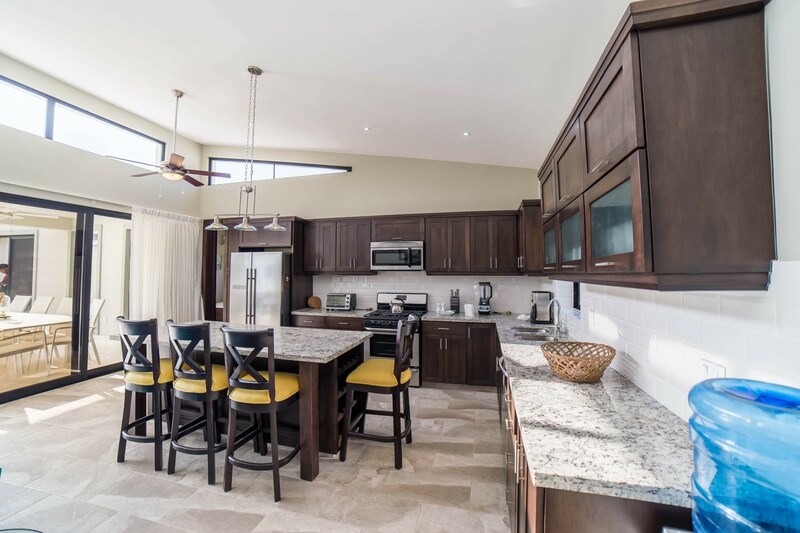 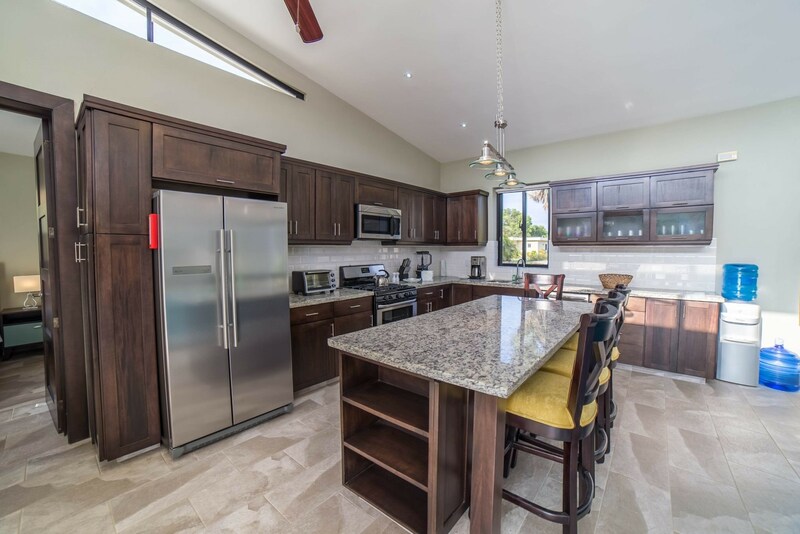 The kitchen design includes designer cabinet styles and colors that can be personalized, using whites, natural wood, blacks or combined styles. 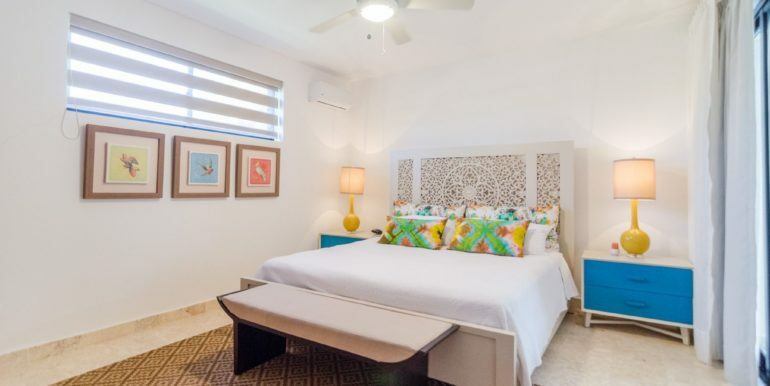 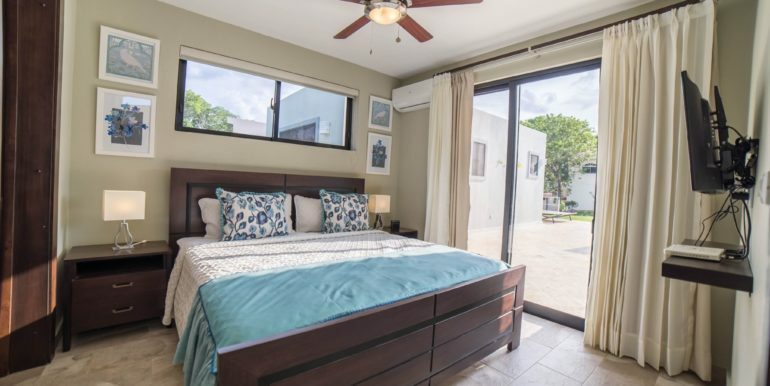 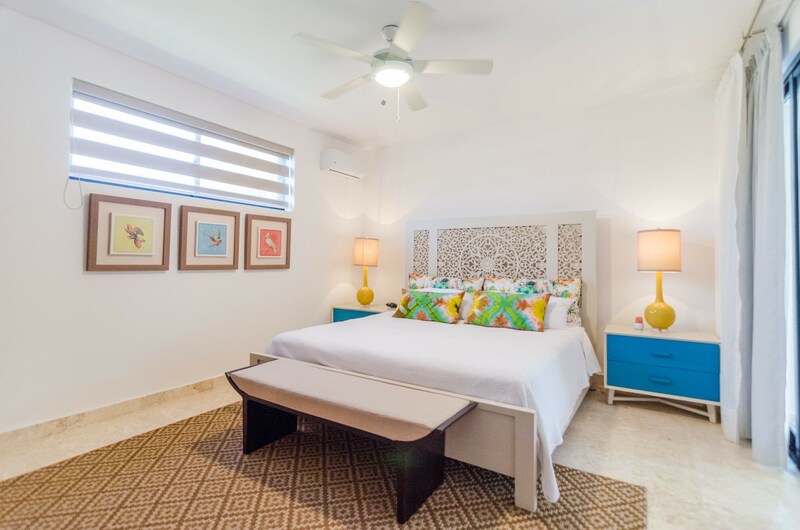 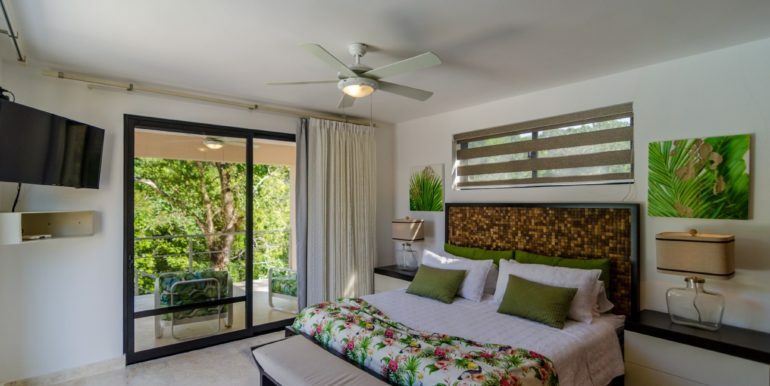 The bedroom design include tall, sliding glass doors with access to the pool area, also windows over the bed to let in lots of natural light and control it using beautiful shades or curtains. 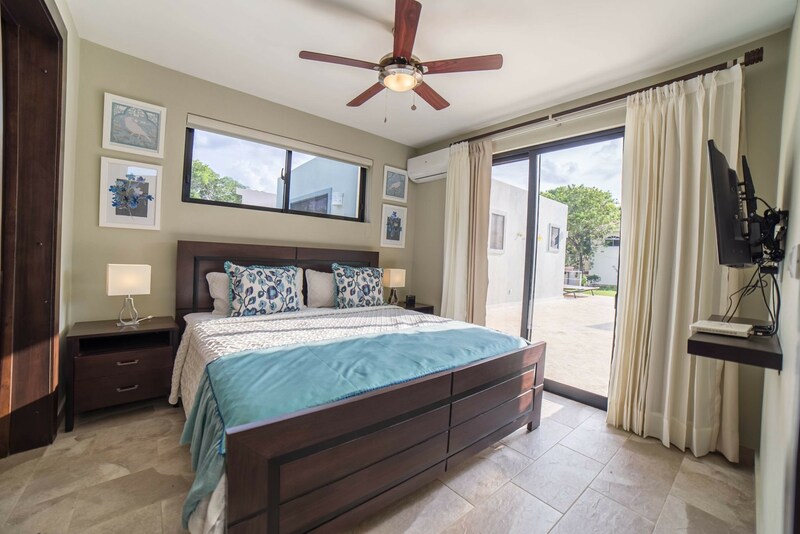 Each bedroom has its own bathroom unless the buyer decides to build a Jill & Jack for the other 2 bedrooms in the 3 bedroom model. 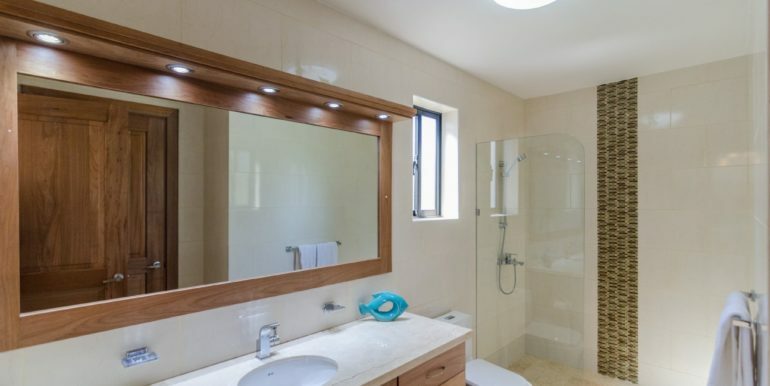 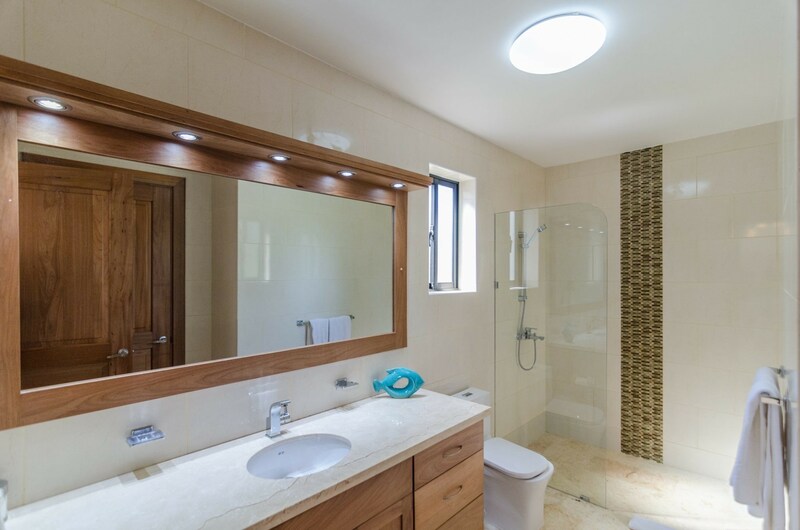 As seen in the photos, the bathroom design uses high quality elements and fixtures that give off a high end sense of refined elegance. 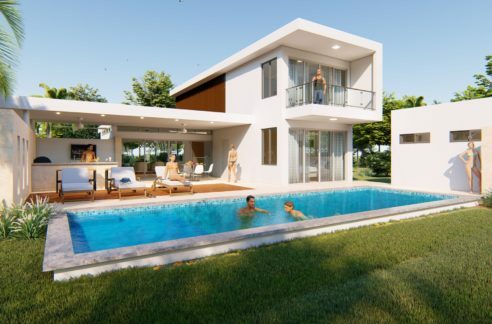 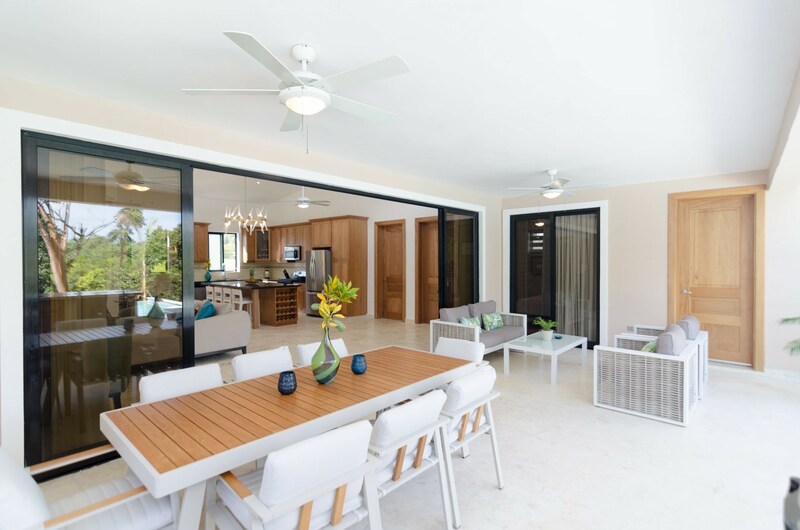 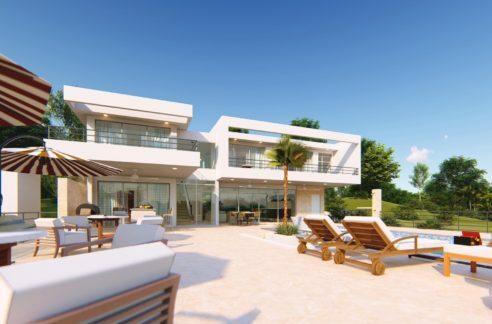 This villa design includes a veranda with outdoor space for a dining table, patio sofas and other outdoor leisure furniture. 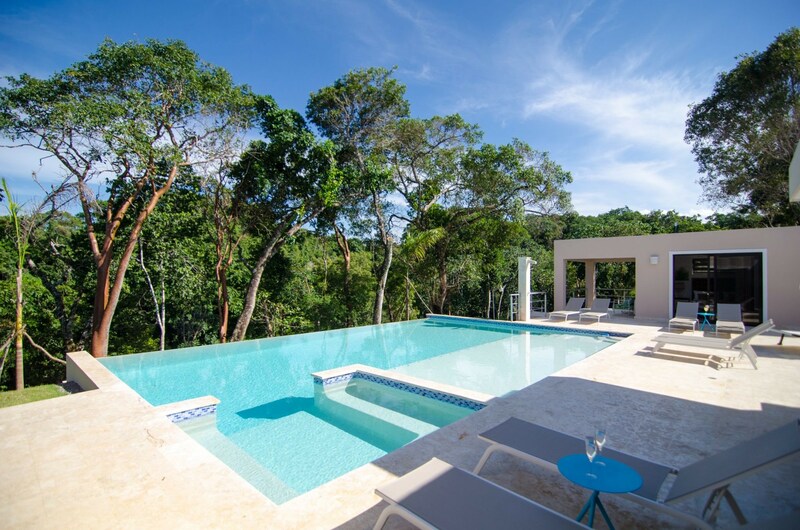 The swimming pool deck is preferably made of native coral stone to keep it cool even on the sunniest days. 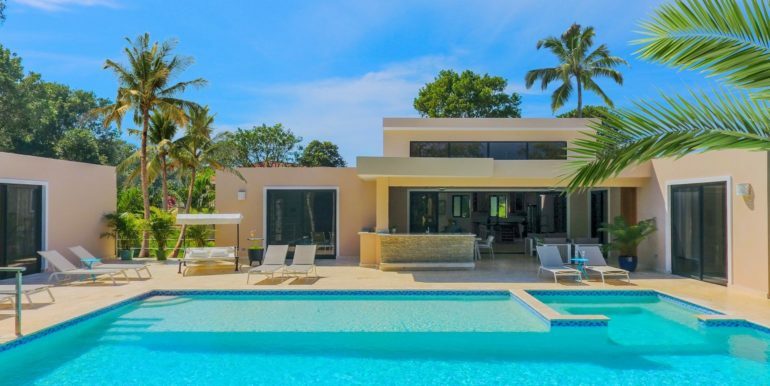 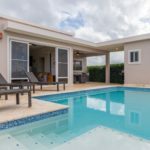 The pool model with shallow ledge and whirlpool is a favorite, and is included in this villa, of 9,400 gallon capacity. 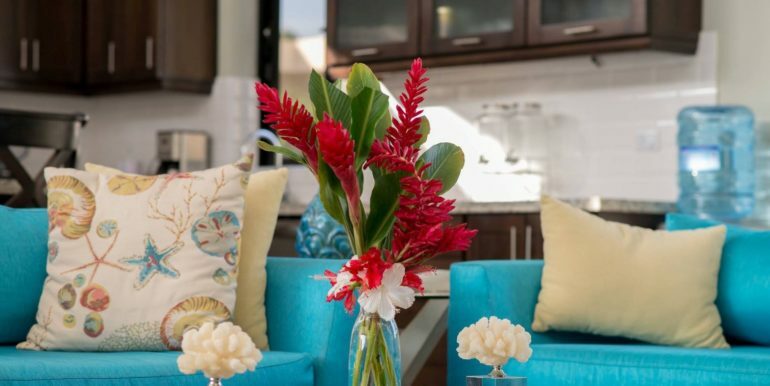 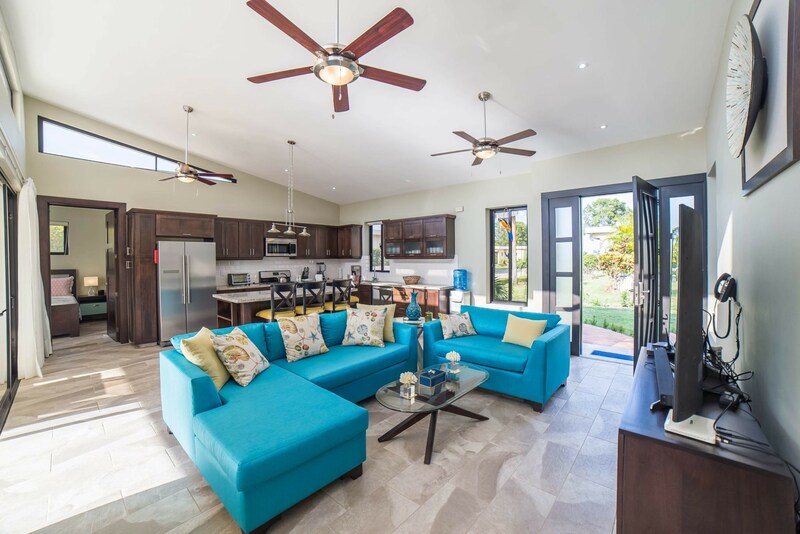 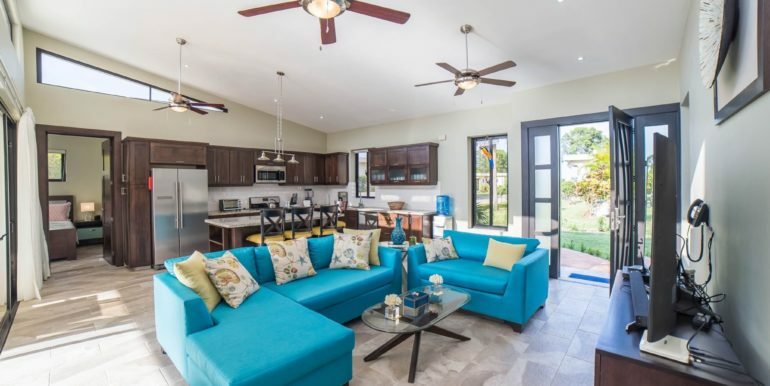 We are offering this model inside a gated community with 24hr security, power back up, and additional services if needed. 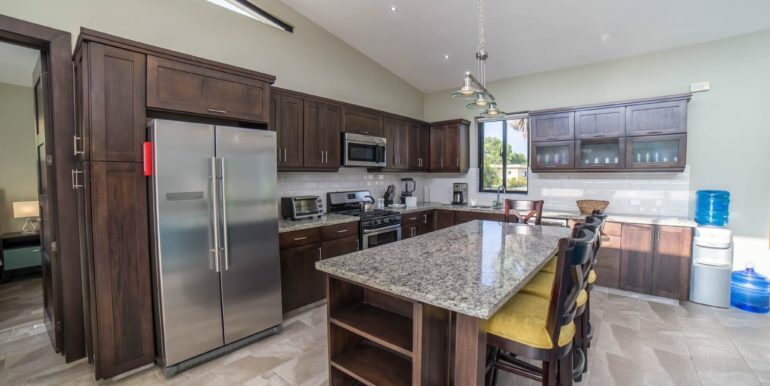 The cost depends on the size, the 2 bedroom, 2 bathroom model costs $192,200.00 with 1,219 ft2 (113.3 m2) and the 3 bedroom, 3 bathrooms costs $230,400.00 with 1,557 ft2 (144.m2). 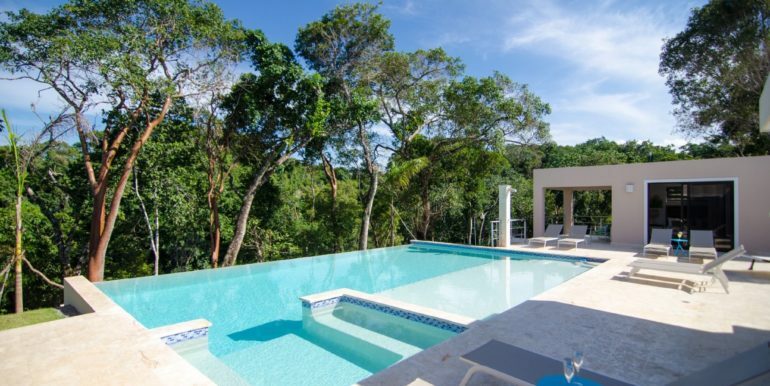 Both with a 600 m2 lot size (6,456 ft2). 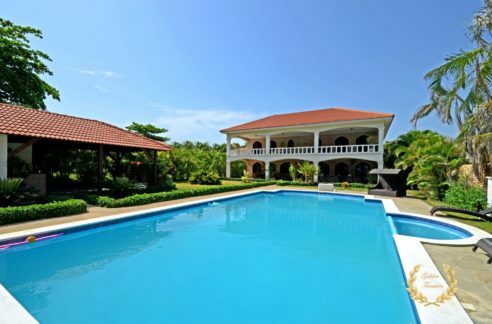 Access to Sosua Beach and the center of town is about 5 minutes by car, the same distance to Cabarete Beach. 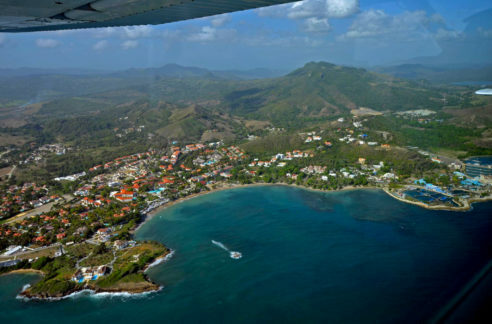 The closest airport is POP ( 10 minutes away ) and the city of Puerto Plata is reached in less than 25 minutes by car. 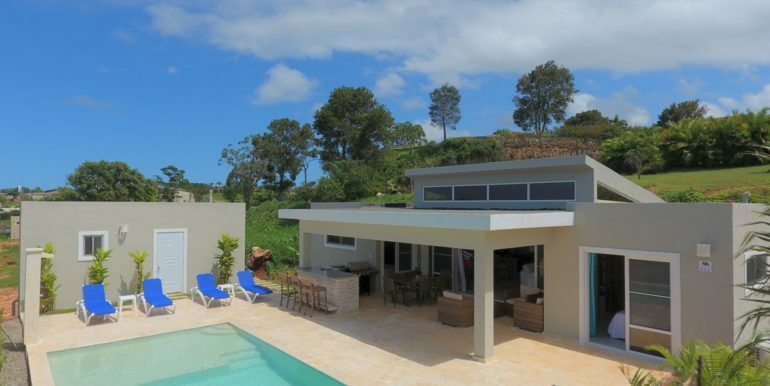 Schools, medical centers, supermarkets and other stores are all within minutes from this villa.